If your business is facing a new storage space problem, need to solve a space problem quickly, or perhaps just want a standard office filing solution; JJ Storage Systems are the top filing, & storage experts. Migson Public Storage talk about the benefits for office filing & storage by moving those files into storage to free up space for more profitable uses such as additional offices. Just about everyone at some time or other has wished they had more storage space. This applies to both businesses and individuals. With the present state of the economy, creating storage units or additional space can bring in extra income. Storage units can be a source of revenue for businesses or even apartment or condominium owners. is one prime example of how storage units can be used to help increase revenue. If dated files that are not being used regularly are kept in prime office space, they are not adding to profitability. Moving those files into storage can free up space for more profitable uses such as additional offices. Some warehouses can also improve or increase their own storage space and store items for others. One ideal and fairly inexpensive way to increase storage space is to use pallets or shelving units which can hold lots of different types of items. 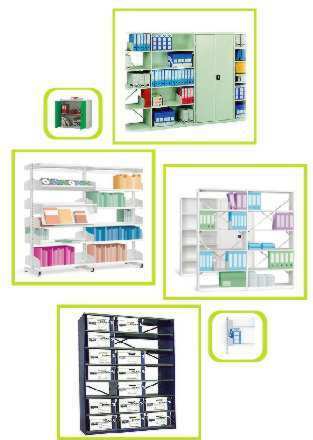 Improved storage can also lead to improved operational efficiency. It helps especially in locating needed material or items quickly and easily. Additional storage units can also work to generate additional revenue by ensuring that raw material is always available for manufacturing ventures. If that company creates storage units or rents storage space, they could buy in bulk meaning that they pay less for raw material. As well, they will have purchased items at a lower price in the event that operating costs increase. In short, storage units can help a company better manage its inventory which results in increased profit or revenue in the long run. This is something any company would want; especially since the outlay to create more space may not be high. Best of all, storage units can be rented, built, or an existing one modified, for better use. A family with a storage unit that is not fully utilized could also earn additional income. They can rent the storage for boats, furniture or other items for families without storage such as apartment dwellers. The fact that storage units are relatively maintenance-free is also a benefit as there is little expense incurred by keeping them. To get additional revenue, some businesses actually rent or lease vacant space in the basement as storage. This can bring in quite a chunk in additional income. Many buildings have valuable storage space in the basement that is used to store junk. Getting rid of the unwanted items and cleaning up the space for storage rental is good business sense. The troubled economy has led many people and businesses to seek new ways to earn revenue, but it is also responsible for the increased demand for storage space. Look around and see where you have unused space that can be used for storage. This space, if large enough, can be used to bring in additional revenue. Increased earnings are a boom in the best of times, but even more so in the worst of times. Self storage in Toronto has proven to be a worthy investment for businesses. By adopting a storage unit in Toronto, it lowers the chances of inventory damages. London self storage also helps businesses become more organized.